My name is Jeremiah Ethan Bennett, Jr., also known as JJ. I’m twelve years old and a spy for the CIA, only they don’t exactly know it. "My name is Jeremiah Ethan Bennett, Jr., also known as JJ. I'm twelve years old and a spy for the CIA, only they don't exactly know it." JJ Bennett has never been shot at by Russian spies, broken into a thousand-year-old crypt, or dangled by a single piece of rope two hundred feet in the air. But all that is about to change. Jeremiah Junior, aka JJ, was an ordinary boy who grew up believing his father was a boring computer tech for the US Government. After the death of his grandma, JJ begins traveling with his dad and soon figures out that his dad actually does some kind of spy work for the CIA. 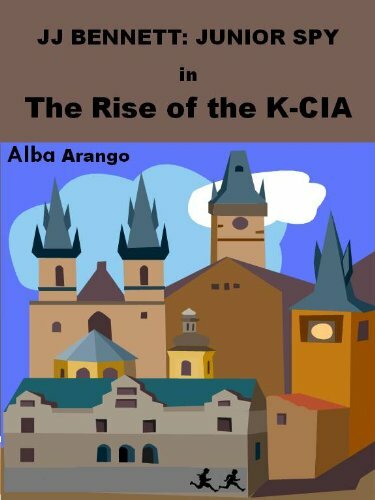 After arriving in Prague, the capital city of the Czech Republic, JJ and his new best friend Maggie discover the real problem behind the CIA's troubles in Prague -a secret organization of kid spies known as the P-KGB, bent on destroying the United States. After a chance encounter with Ivana, a pretty blonde Russian spy, JJ uncovers evidence revealing the existence of a dangerous CIA formula, stolen back in the 1950s and hidden throughout the city of Prague. With the Russians hot on his trail, JJ and Maggie must unravel the mysterious clues left by an American defector and locate the hidden pages of the formula to save the world from annihilation.